Today’s post is by Victoria Pass, she received her PhD from the University of Rochester in May 2011 and she is currently teaching at the Maryland Institute College of Art. 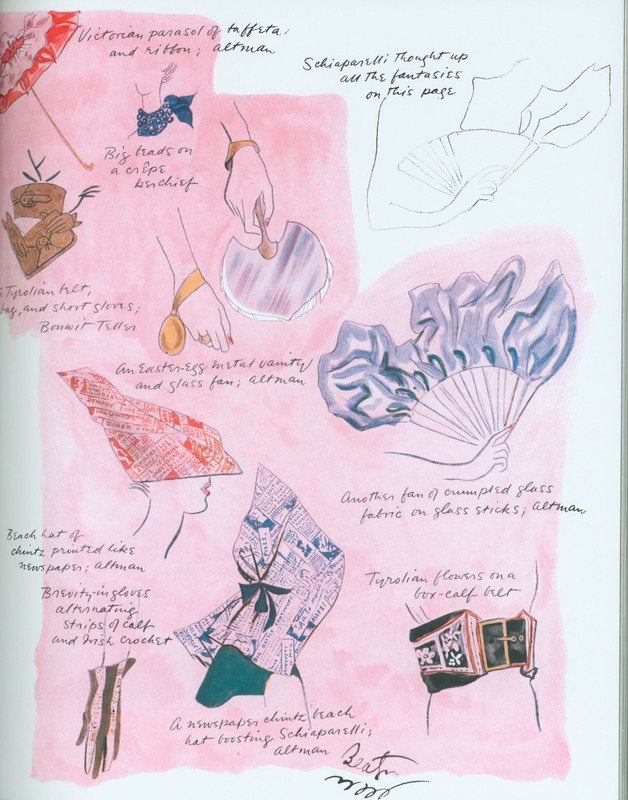 Her dissertation, Strange Glamour, examines fashion and art in the 1920s and 1930s. Her research examines fashion in the context of art, politics, gender, and race and she is currently working on a projects on African influences on modern fashion- a paper she recently presented at the Women in Magazines conference at Kingston Universality (UK). 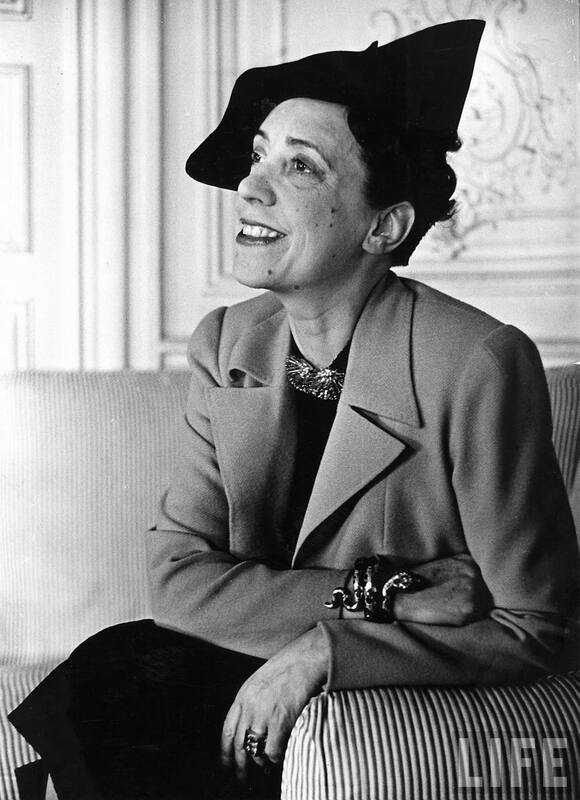 Elsa Schiaparelli seems like an unlikely candidate for the godmother of punk style. An Italian aristocrat, Schiaparelli took up designing to support her daughter after she was abandoned by her husband. She launched her first collection in Paris in 1927, and by the mid 1930s she was a household name in both Europe and the US, dressing the likes of Joan Crawford, Tallulah Bankhead, and Mrs. Wallis Simpson, the future Duchess of Windsor. She would seem to be a far cry from women like Vivienne Westwood or Siouxsie Sioux, and yet her aesthetic and ethos reflects the same impulse to shock and to question gender norms as punk style. There are many affinities between Schiaparelli’s work and the aesthetic of punk. 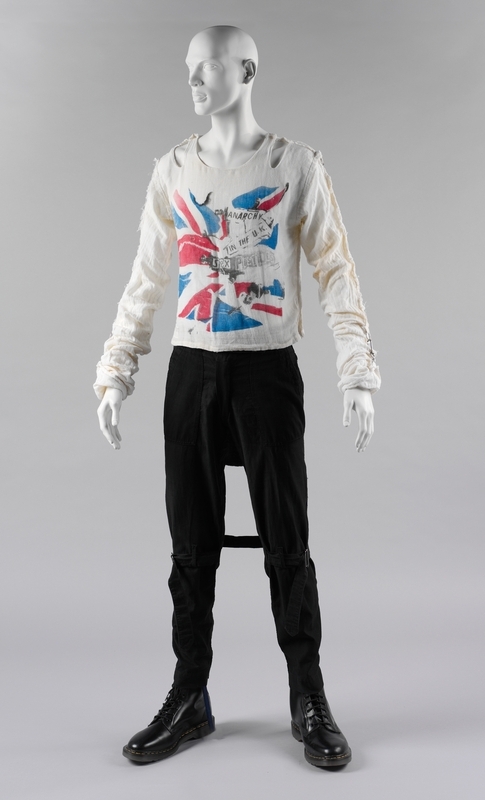 In collaboration with Surrealist Salvador Dali, Schiaparelli created a garment that appears to be torn, presaging the torn clothing and distressed looks of the punks. 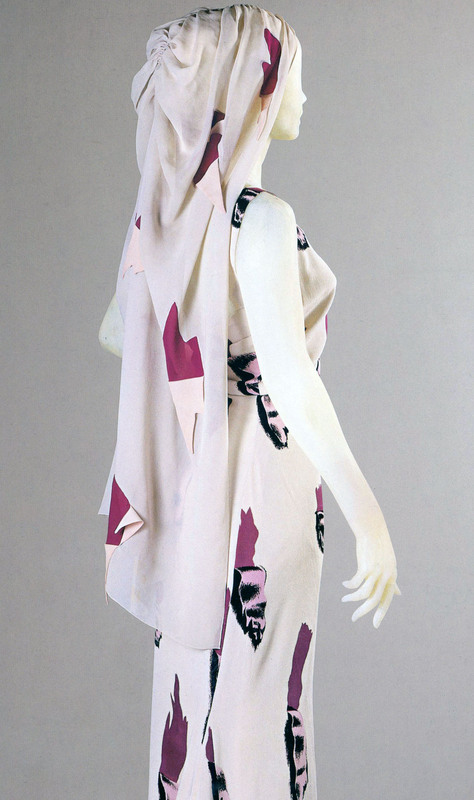 Schiaparelli also adopted the collage technique of the cubists, creating a fabric print from newspaper clippings about her. This print’s cut and paste look mirrors the look of Xeroxed punk fan-zines and posters. There is a much deeper connection between Schiaparelli’s designs and punk style. In the 1982 film, Ladies and Gentleman, The Fabulous Stains the bravado of Corrine, played by Diane Lane, as the front woman for the titular band, seems to me to be emblematic of the style of punk women. 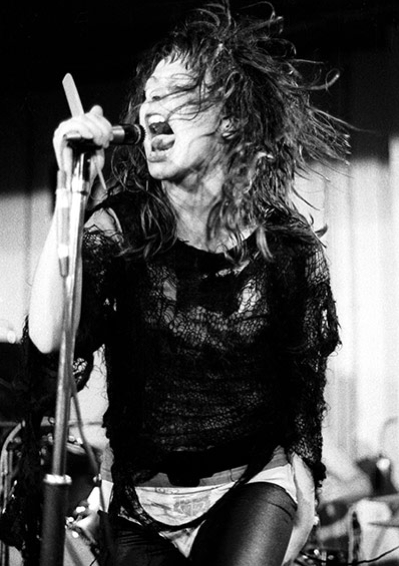 Throwing off her brown overcoat during the band’s first performance and pulling off her red beret, Corrine reveals what will become her signature style, fishnets, black briefs, a transparent red blouse, matching her aggressive red eye makeup, and an incredible punk coiffeur with bleached stripes on the sides. The style is aggressive and revealing, Corrinne shouts at the audience: “I’m perfect, but nobody in this shithole gets me because I don’t put out.” Corrine’s combination of provocative and sexually explicit clothing with aggressively harsh and ugly eye makeup and hairstyle, as well as her “I don’t put out” motto undermines gendered ideas about fashion’s relationship to sexuality and women’s promiscuity. Here style both attracts and repels viewers, making men aware of their gaze and their assumptions about Corrine’s sexual availability. 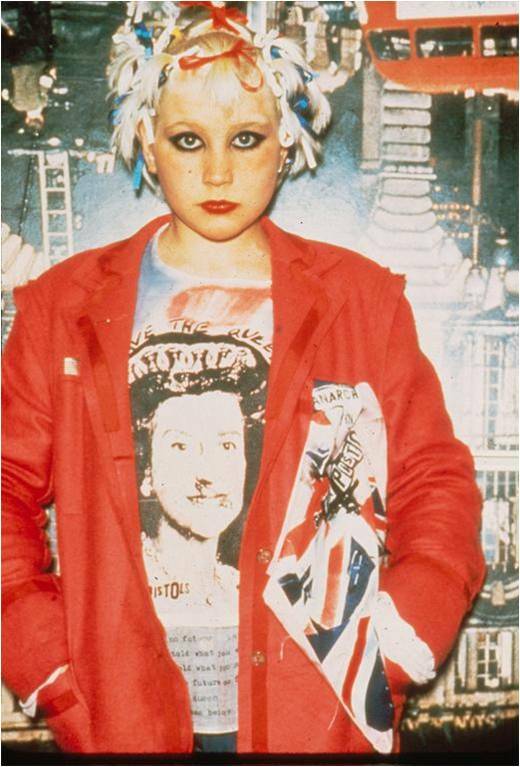 These modes of dress for punk women were not only about shock. Using shock, punk women made the men who looked at them aware of their own sexualized gaze through the provocative ugliness and aggressiveness of their style. I see Schiaparelli as working in a remarkably similar way to the women of punk. Schiaparelli was deeply engaged with Surrealism and frequently collaborated with artists associated with the movement including Man Ray, Salvador Dali, and Jean Cocteau. Surrealism, as it was lead by the writer Andre Breton was a Marxist movement, and was hostile to both commerce and women, making it an unwelcome place for a female fashion designer. Similarly, punk was a movement which strived to associate itself with the working class and often espoused anarchical political views. 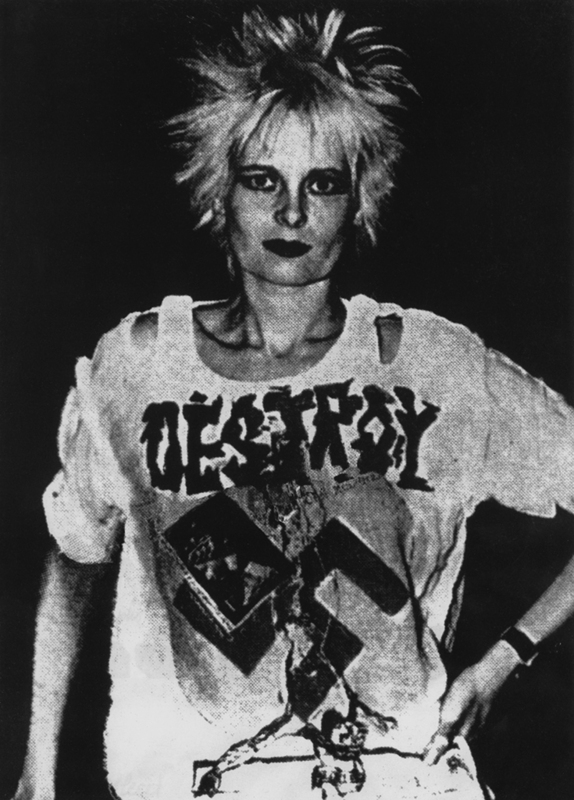 Like Surrealists, punk practitioners strove to shock the bourgeoisie, and created a movement which was rife with machismo and misogyny. Both Schiaparelli, and many of the women of punk took the ideas and aesthetics of these movements and turned them to their own purposes, calling attention to misogyny and upending gender conventions. This is the end of part I, please come back next week for part II. Thanks to Anne Cecil who suggested the topic for this essay, and who gave me the opportunity to present it as part of the Punk area at the Popular Culture Association conference in San Antonio, TX, April 2011. [i] Lauraine Leblanc, Pretty in Punk: Girls’ Gender Resistance in a Boys’ Subculture (Rutgers University Press, 1999; reprint, 2002) 2. This entry was posted in Research and tagged Cecil Beaton, Elsa Schiaparelli, Malcolm McLaren, Punk, Salvador Dali, Siouxsie Sioux, Surrealism, Victoria Pass, Vivienne Westwood. Bookmark the permalink.